by using the form or calling us at 231-862-3113.
your Veterinarian in Lake County. Lake County Veterinarian, Dr. Elizabeth Kauffman at Irons Animal Hospital is committed to your pet's health and well being. Dr. Elizabeth Kauffman and the staff at Irons Animal Hospital now provides Lake County with compassionate veterinary care and pet services. Go to the New Patient Center page and view some of our Happy Patients! 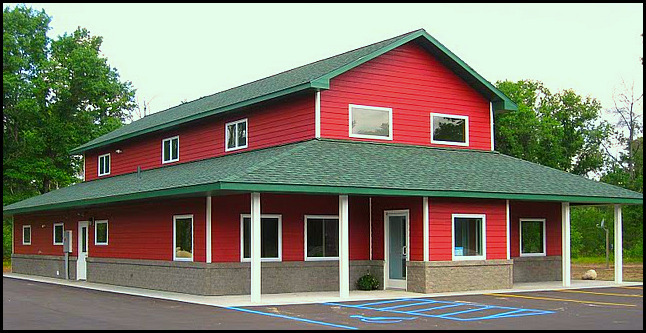 Irons Animal Hospital is a full-service animal hospital which offers the Irons community emergency services as well as medical, surgical, and dental services. We also have an in-house pharmacy with access to specialists, making our veterinary facility a one stop shop for your pet's health and medical needs. If you are new to our website, please browse around to learn about our facility and read interesting pet articles and view pet videos. Click on the "email us" link below to ask us a question or to submit feedback. For directions to our office see our Contact Us page. To receive free monthly veterinary care articles, please subscribe to our newsletter. Remember, at Irons Animal Hospital, your pets are our family!